From August 8 to December 10, 2016 we've opened again the voting lines for your favorite 2016 song and top artist. Fans are allowed to vote once per day with 1 hour of unlimited voting privilege in selected days. 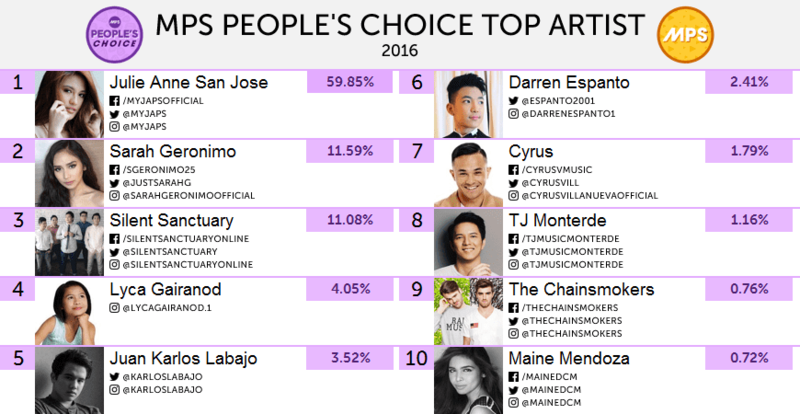 Here's the much-awaited TOP 10 People's Choice Top Artist of 2016 that you've voted for! 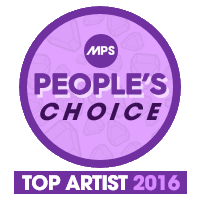 See what fans has to say about the MPS People's Choice Top Artist 2016 results! THANK YOU FOR MAKING #MPSPeoplesChoice2016 POSSIBLE!